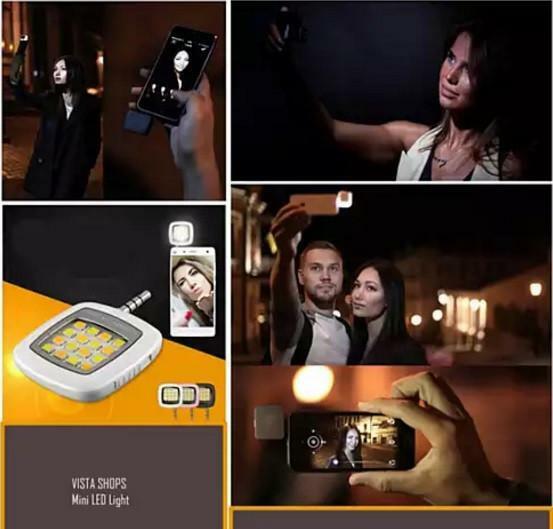 Mini Selfie Photo Flash for your Smart Phone. 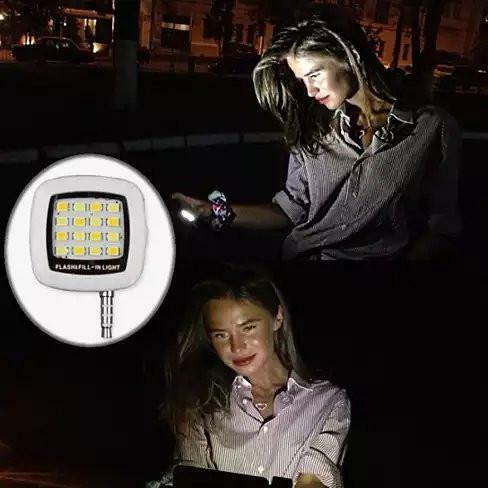 Now take a bright and clear selfie with this LED Photo Light will fill in the missing light and allow you to take a bright and clear selfie or any closeup picture on your smart phone. If you are dancing away in NYE Party and you want to take a selfie that is crisp and clear with your friends then this is a solution for that. it has built-in rechargeable battery and it plugs in your 3.5mm jack. Remove it when not in use no larger than Quarter Coin. Comes in many colors. Fully compatible with any phone like Apple, Samsung, HTC, LG, Sony, Nokia, Windows any model any versions.